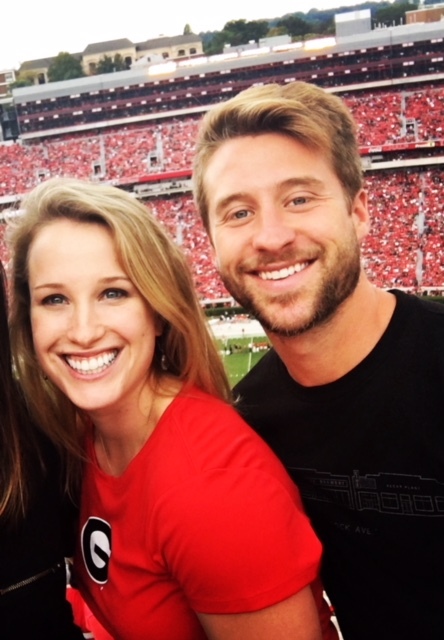 Did you know nearly 25,000 couples met and fell in love at the University of Georgia? In honor of Valentine’s Day, we set out to track down some of these stories of love found in Athens, Georgia! 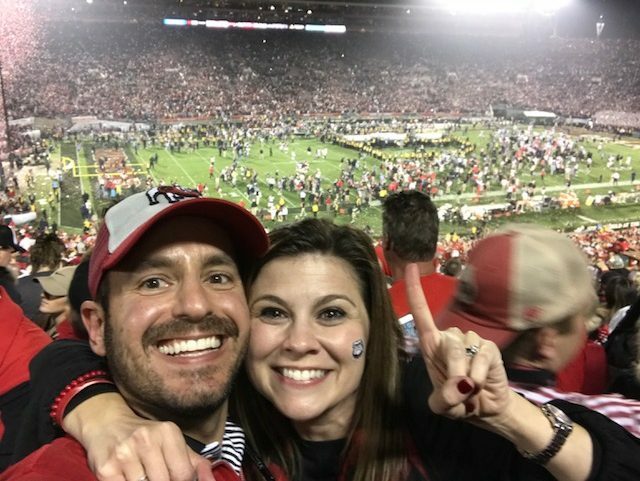 We collected several stories of love found in Athens, Georgia – tab through them below! “I met Jerry Katz in September 1960, the first week of my freshman year. I told my roommate “that’s the guy I’m going to marry!” ‘You’re crazy,’ she replied, but from that day forward, we saw each other every single day or night and the rest is history. 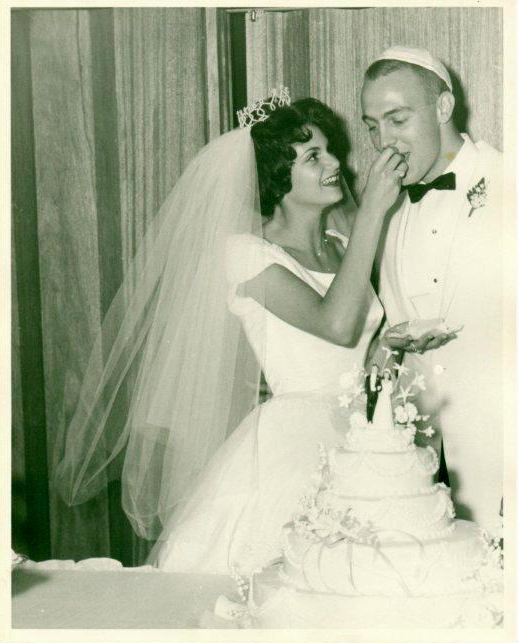 At that time, we were very young and wanted to get married, so we took a drive to Abbeville, South Carolina, on March 5, 1961, and got married and then asked if we could get married. 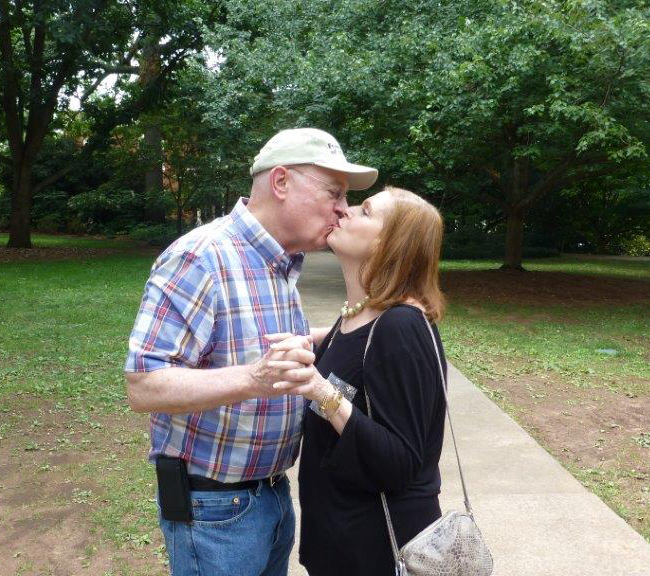 If the parents said yes, we would not tell them we’d already gotten married and if they said no, we’d say ‘too late, we already are.’ They said yes and so we were engaged and married on June 11, 1961. We told our children the elopement story on our 25th anniversary! “I met Jerry Katz in September 1960, the first week of my freshman year. I told my roommate ‘that’s the guy I’m going to marry!’ ‘You’re crazy,’ she replied, but from that day forward, we saw each other every single day or night and the rest is history. Engineering and kickball combined to bring Abby and Hayden together. 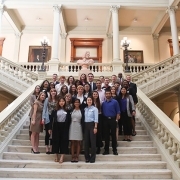 The recent College of Engineering graduates met their freshman year at the University of Georgia in an introductory civil engineering class. While it may not have been love at first sight, it was pretty darn close. 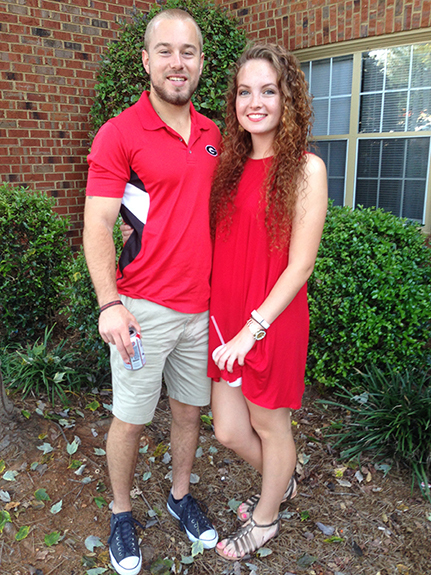 The engineering sweethearts tied the knot last year in a ceremony in Alpharetta. 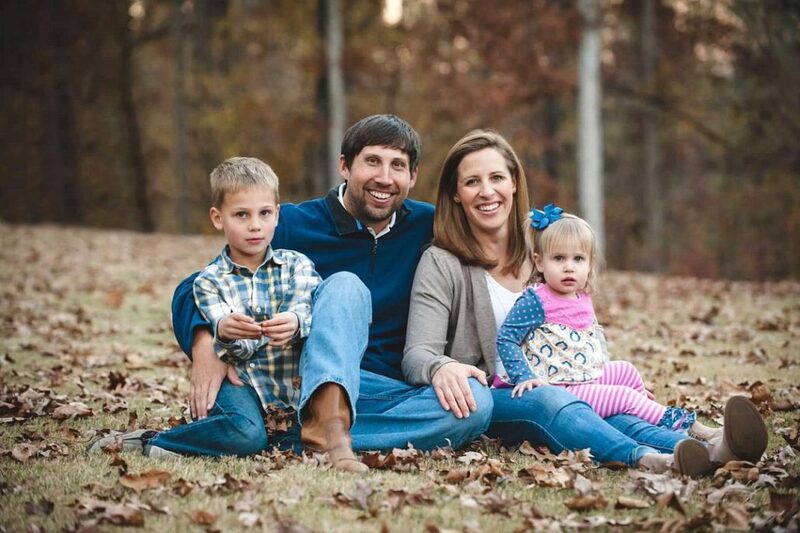 Continue reading their story from the College of Engineering. Boy met girl in 1992. They say opposites attract and that was true. He announced that he had met his wife after their first date. Four years later that would be their fate. With the birth of a son, their family was complete. Of course, the season ticket holders added another seat. Married for 20 years is a feat! It ranks up there with the Rose Bowl defeat! 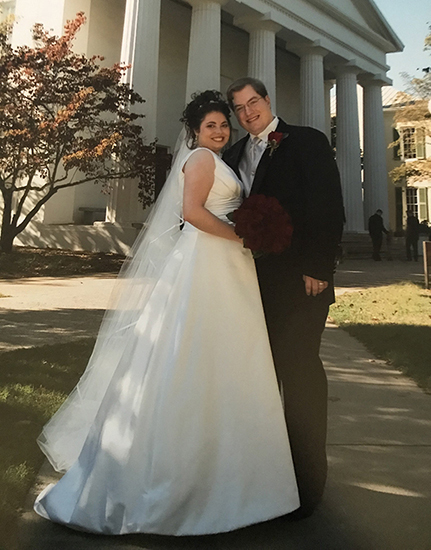 We met on our first day of classes at the University of Georgia. I (Paige) was a sweaty mess after being lost on campus in late August … typical. I entered my English class only to find one seat available, lucky for me it was next to Jake. 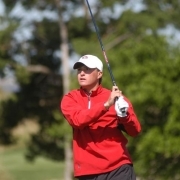 Before I was all the way in my chair, he had his arm fully extended, bright blue eyes smiling, “My name is Jake Adair. It’s nice to meet you.” I had never met someone who spoke with such sincerity. It’s this same genuine quality that everyone speaks of when they first meet Jake. It’s this quality that made him stand out in my mind, and ultimately the reason I fell in love with him. Jake has the ability to make anyone feel comfortable around him. 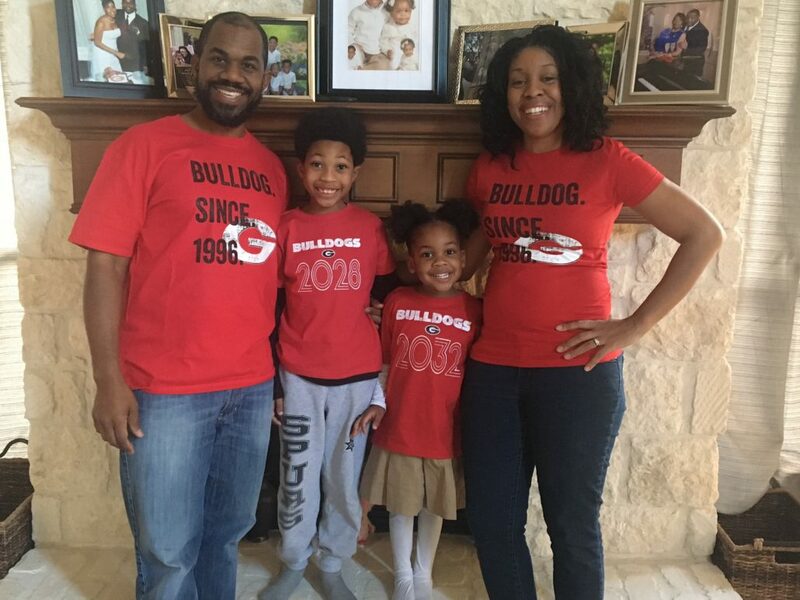 He asked where I planned to get my books to which I promptly responded, “the bookstore.” My mom was a UGA grad and I had been frequenting the bookstore for Bulldog paraphernalia since I was a toddler. Obviously this is where I would get my books. Little did I know that this was just an excuse for him to get my phone number. Four years later, he proposed to me in my favorite place, the Founder’s Garden. We had spent many an afternoon here, but this one will always be different. We recapped our day by visiting this same room where it all began, in an English class. I am thankful that we met that day, and that I have him to sit next to for all of my days. 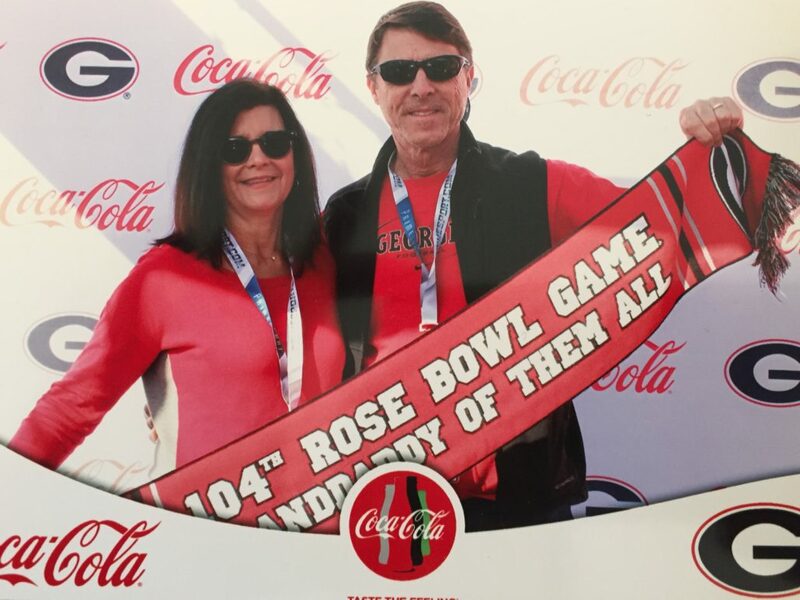 “Our first date at UGA was on October 23, 1981. It was Homecoming Weekend and Neale asked me go with him to the football game, which was against Kentucky. 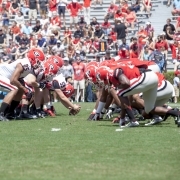 We beat them and went on to be SEC champions. I hated to tell him that I already had a date because I really wanted to get to know him better. But being the persistent guy that he is, he asked me to go to a party the night before the game. We had a great time with a group of mutual friends and that was the beginning of a year-long friendship (no one believed we were just friends). “What’s the deal with you Neale?” they would say. Our friendship turned into a dating relationship, which quickly turned into an engagement. 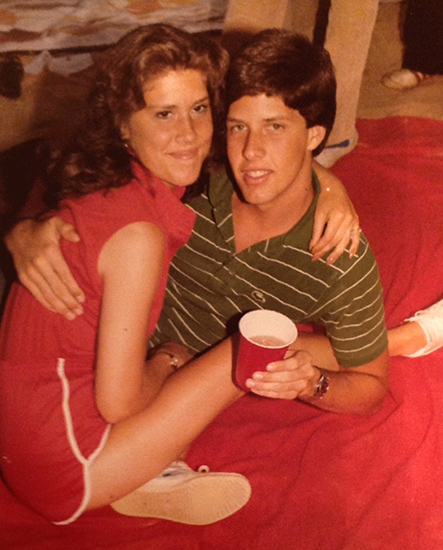 After a very long 18-month engagement, we were married on June 9, 1984, with all of those same friends by our side and with the host of that October 23rd party, Joey Hokayem (BMUS ’81, MM ’83), playing the piano. “Ross and I met in volleyball class in Spring 2009. He was a senior and I was a freshman, and over the course of the semester, we got to know each other better. Ross asked me out 3 times (the first two don’t count, because I didn’t realize what his invitations to go out meant). Fast forward six years, and we got married at The Melting Point on our anniversary. The bulk of our photos were taken on a crisp, March day across North Campus. A group of students let us cut in front of them in line at The Arch to snap a few photos commemorating our day, and my favorite photos were snapped while ringing the Chapel Bell. 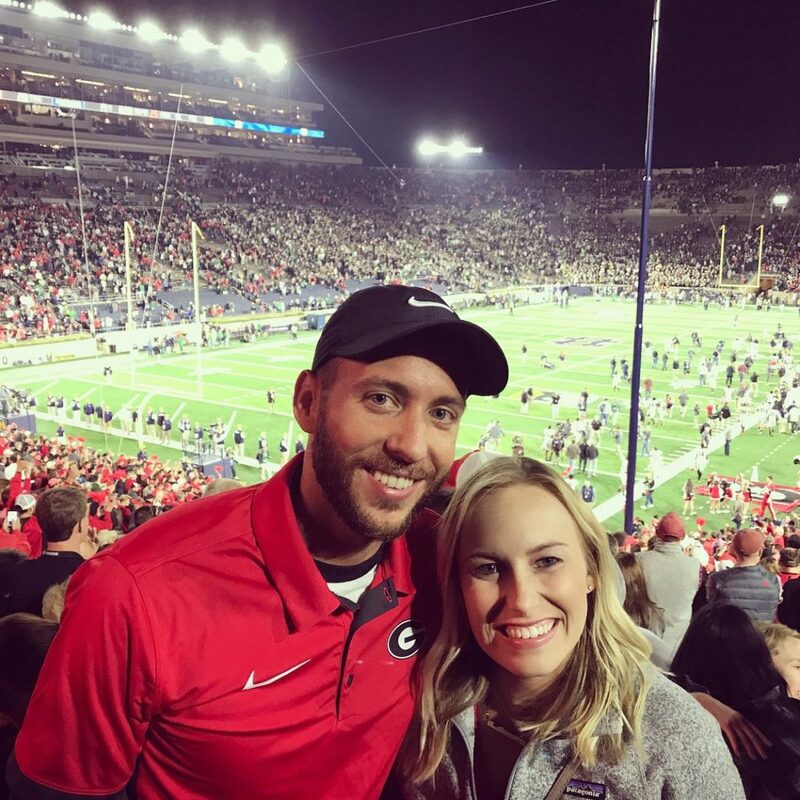 “My husband Adam, a UGA baseball player, and I actually met in high school, and while we lived two doors down from each other while attending UGA, we didn’t reconnect and start dating until the 2013 UGA vs. South Carolina football game (which we won for the first time since 2009!). “Dan and I met a few days after Valentine’s Day in 2001 in the Tate Center game room (which I’m so sad it’s not there anymore) playing pool. We found out we were both history majors and both taking Italian. We started meeting up to play pool and he helped me with my Italian (he’s way better with foreign languages than I am), then it progressed to dinners and spending time at his apartment. We had so much in common that we ended up signing up for the several of the same classes and sharing a set of books (it saved a ton of money!). 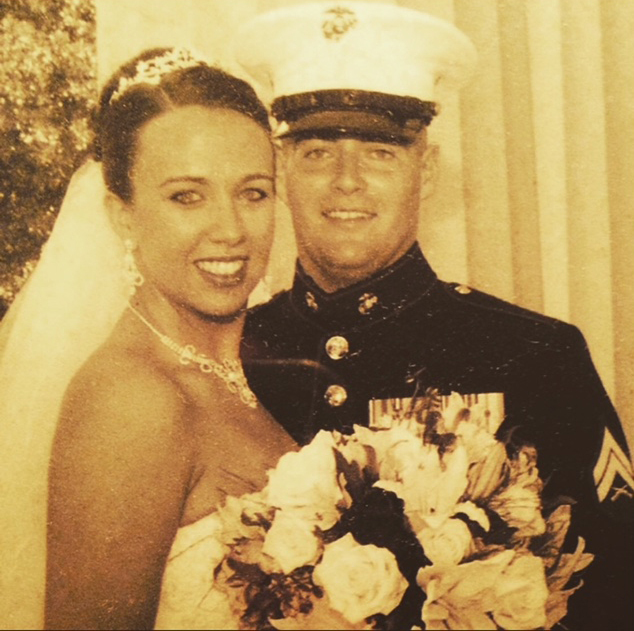 “My husband and I met three weeks into our freshman year. We met in Russell Hall through mutual friends – I thought he was interested in my roommate, not me! He hung around with us all day, and honestly I didn’t really pay much attention to him at the time. 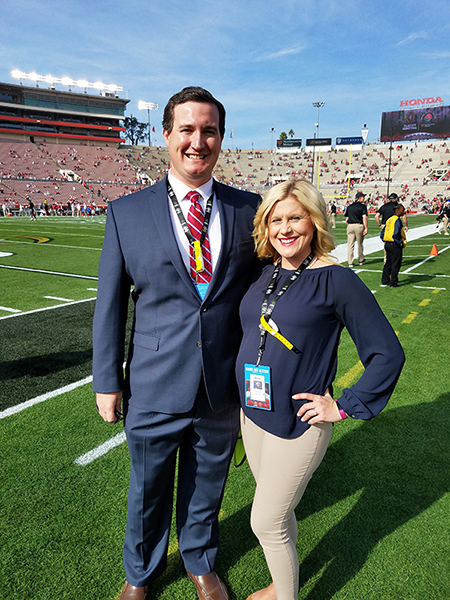 It was Labor Day weekend, and after the game I headed back home for the rest of the weekend. When I returned to my room on Monday night, I had a message on my answering machine from his friend asking to come hang out with him and Johnny. First of all, I thought it was strange that Johnny had his friend call, and second, I didn’t even really remember who Johnny was and had to ask our mutual friend. I thought ‘what the heck,’ and called them back. We dinner at O-House Dining Hall and the rest is history. We dated all through college, got engaged right after graduation, and married a year later. 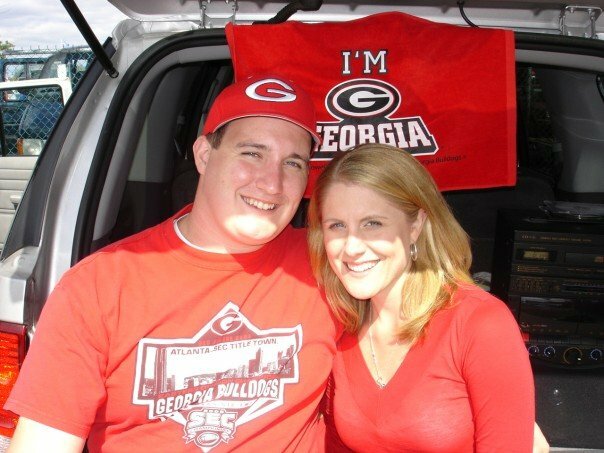 We’ve been married for 12 years, have four children and live in Decatur, Georgia. We just said the other day that 2018 will mark the point where we’ve been a part of each others lives as long as we haven’t. 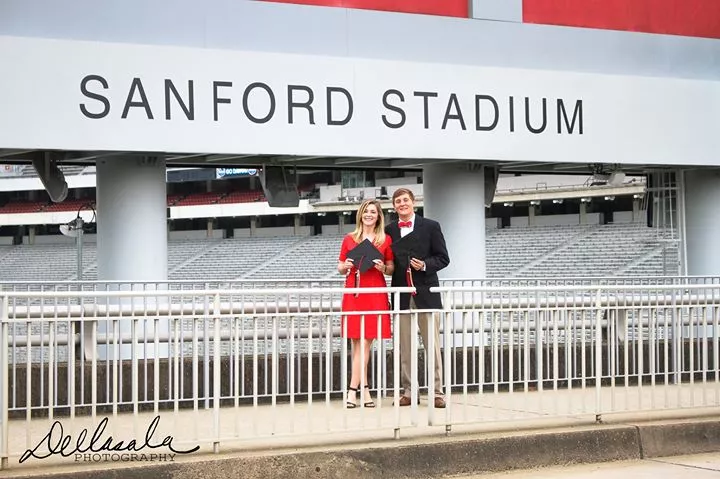 “Flapping my wings all the way from Virginia, I moved to Athens to attend UGA for grad school in 2013 … little did I know that my future husband was about to finish his last year at UGA in the Classic City. 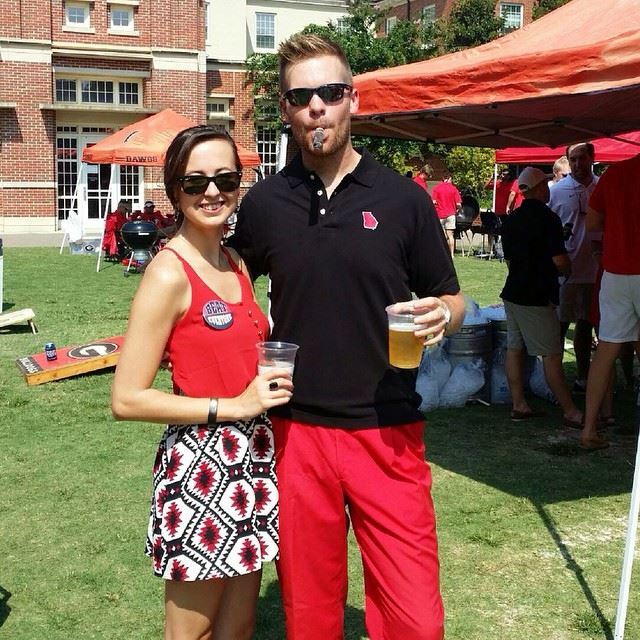 Apparently, Zach wasn’t ready to leave Athens after graduation, because in June 2014, I started to spot a handsome, bearded man around town. I started to see Zach outside of the gym, while I was studying at Jittery Joe’s, while driving, while running on Milledge, etc. I was happily surprised to keep seeing Zach’s familiar face, considering the number of students in town. Fast forward to July 2016 and Zach and I had yet to officially meet each other. Little did I know, that would all change on July 22, 2016. I headed to Taziki’s to pick up lunch that day—I remember walking in, seeing Zach, and thinking “It’s him!” while I nervously tried to play it cool. Zach introduced himself, mentioned that meeting me was long overdue, and then I chatted about my workplace, Mercy Health Center. And that was it. That afternoon, I left for a weeklong vacation in Virginia, replaying my conversation with Zach and wondering if I’d get the chance to talk to him again. After I returned to work the following Monday, I checked my work phone and shrieked as I listened to a week-old voicemail with Zach’s voice on the other end of the line. He explained that he enjoyed meeting me, and that he would like to take me on a date that Friday. 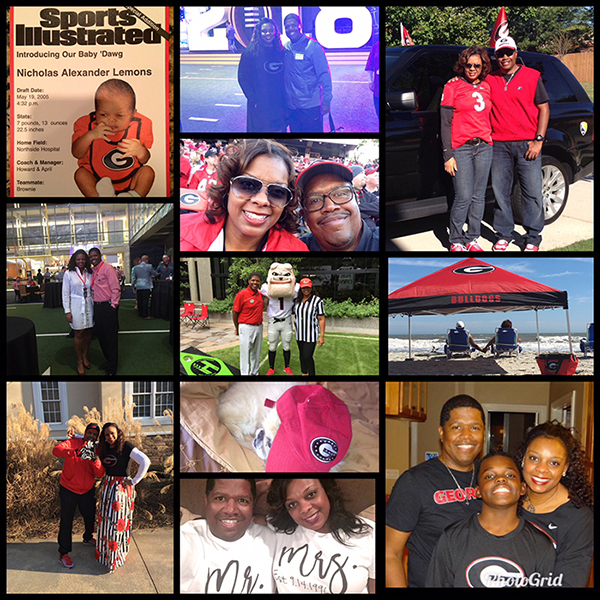 “My husband, Demetrius, and I have a very UGA-centric love story. We met in 1997 in Geography 1101. We became good friends when I served as an RA at Creswell and he worked as a Creswell Desk Clerk. 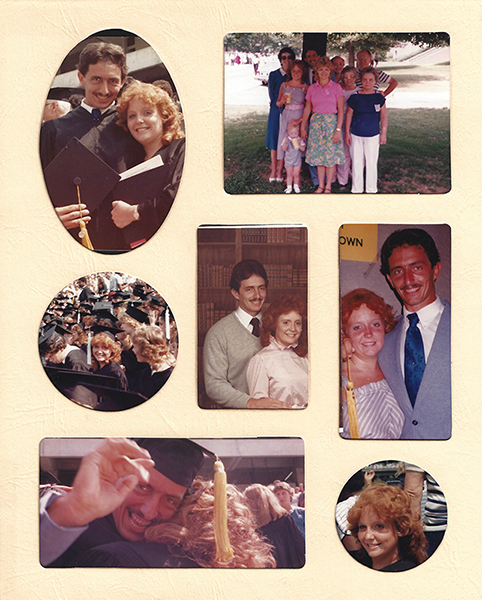 Throughout our sophomore and junior years, we took several classes together in the Terry College of Business. He always made me laugh as the class clown of our study groups and I could always be depended upon to provide the notes (I wasn’t highlighted as a Class of 2000 Senior Leader for nothing). We began dating at the beginning of our senior year. We graduated in May 2000. Coincidentally, he was the student photographed to represent our class on the front page of the Athens Banner-Herald the day after graduation. 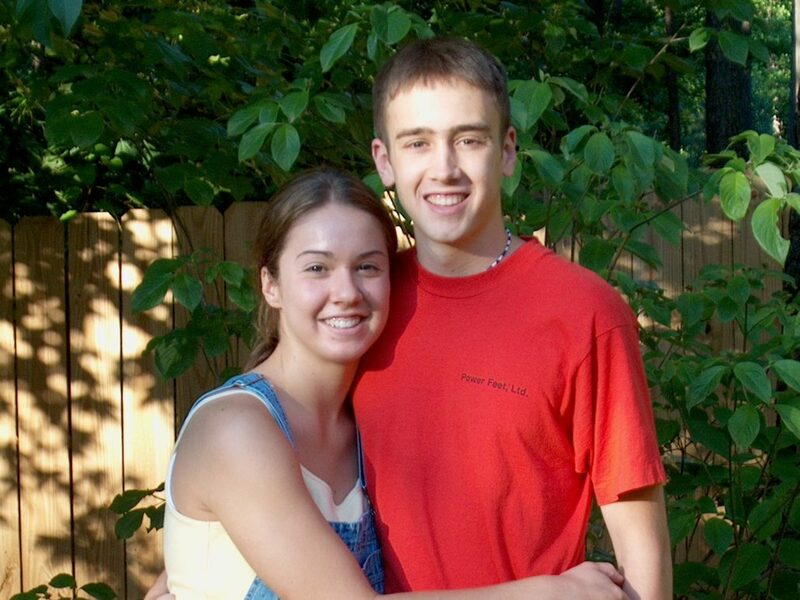 He proposed August 2001 in the North Campus gardens. 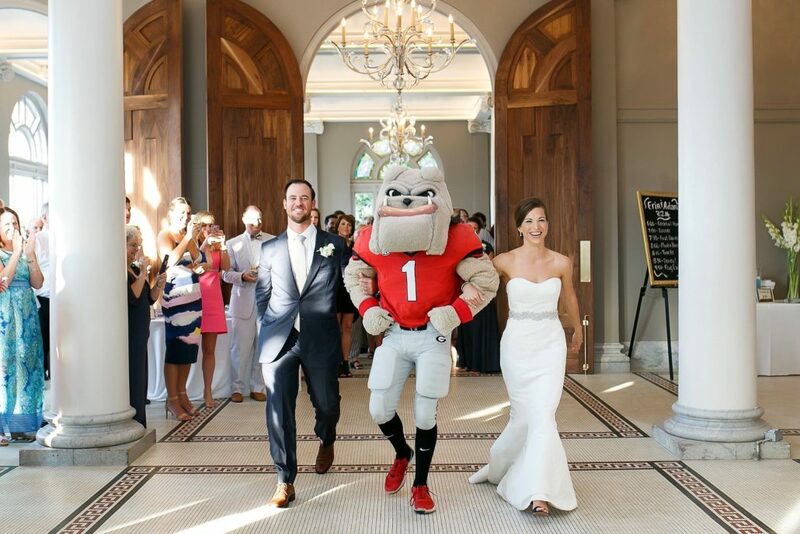 We immediately decided on a fall Athens wedding – on a bye-week, of course! 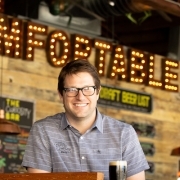 At that time, I was working in Macon, Georgia, and he was pursuing an MBA at Mercer. We decided to meet in Athens on Tuesday, September 11, to start meeting with vendors. We ended up at a restaurant glued to our televisions as the world as we knew changed forever. “Andrew worked at Ramsey and although I saw him every time I worked out, I never knew who he was. We always had breaks together at work and after two weeks of being there, he convinced his best friend to invite me to a get-together they were having. We talked all night about the Braves and the Dawgs and how it was so funny we had never talked before. He asked me to hang out on Memorial Day and we started dating that week. Throughout his last year and my last two years at UGA, we made sure that every Thursday night, we’d go walk around North Campus to just be together. He’s now in graduate school at Eastern Illinois University and I work in Atlanta, but he’ll be back in May of 2019. 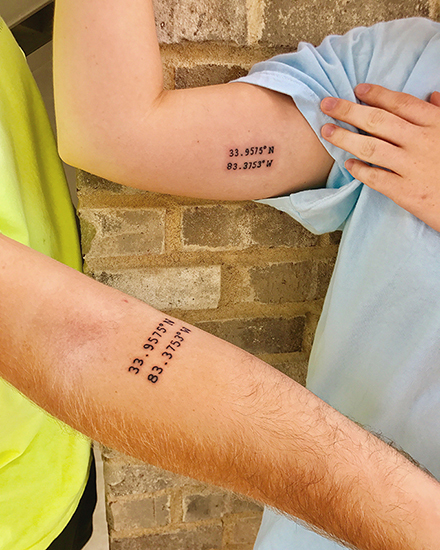 Right before he moved to Illinois, we decided to get spontaneous matching tattoos to remind us of each other every day. The coordinates are of The Arch, something that means the world to both of us. To this day, we still plan a trip to Athens to walk through the Arch together and walk around Herty Field every time he comes home. “This story is a little long, but has gone down as a legend in my sorority! Before chapter at the Sigma Kappa house one night, I was in an executive council meeting and the meeting ended with someone telling me my perfect guy was downstairs. I was intrigued, so away I went to creep on him and verify the statement. During the program, the police officer asked for volunteers from the crowd to demo how to properly kick a would-be assailant. The Marine was holding the pad we were supposed to kick so I just about broke my neck racing to volunteer. I got to participate and ended up kicking the pad (and him!) hard enough that I got a free pepper spray! He was also pepper-sprayed that night in front of us so we could see the effects – he was still hot even when he was miserable. When he left, I thought that was it and I’d never see him again. A few weeks later, I was at the Alpha Gamma Rho Spring Barbecue and Band Party and there was the Marine! We made eye contact and I was dying inside trying to figure out how to approach him. 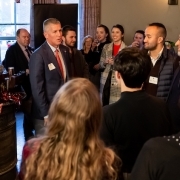 Finally, while I was talking to AGR’s president (who was aware of my crush because his girlfriend—now wife—was one of my sisters), the Marine walked up and the president introduced me as the “girl who kicked the crap out of him.” We began to talk and two hours later he asked me for my number. A year later, he asked me to marry him. He deployed to Fallujah and we were married just over a year later in the chapel on North Campus. 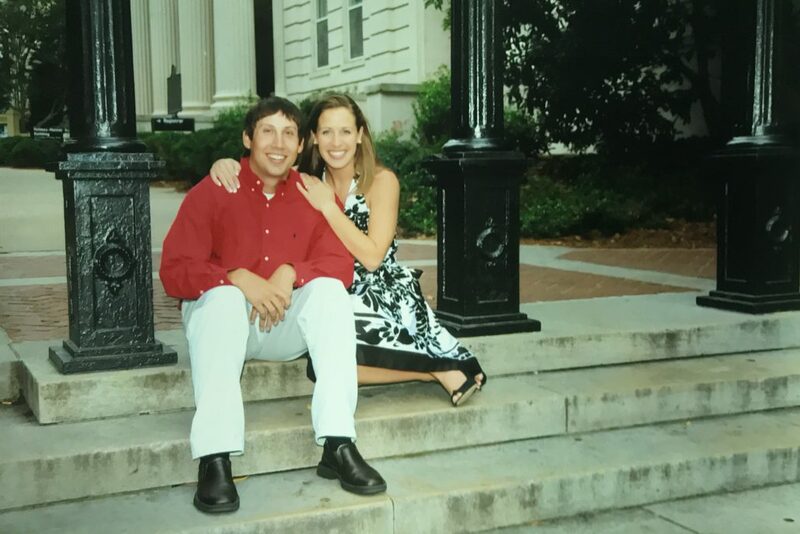 This March will be 15 years since our first date downtown—two kids and almost 13 years of marriage later, it’s still the reason I always tell sorority girls they never want to miss a chapter meeting!